images and is targeted for the Mask fabrication plants. 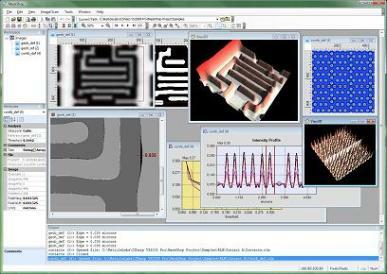 microscope, an inspection system, or simulation software. microscope against a simulation tool or an inspection system. processes, provided the right inputs are available. Listed below are some of the highlighted features found in MaskShop. parameters stored in a multitude of files. up to 4 channels. Each pixel can take as much as 128 bits for storage. correction of lens and stage non-linearties. diagonal measurements along any angle are supported. and several image features statistics via a few mouse clicks. Image Overlay module to analyze the combined image. along various angles and axis. Ability to resample & scale images. interface, allowing the user to perform multiple analysis at the same time. workspace, via special ‘workspace’ and ‘attributes’ docking bars. online examples, you can be analyzing images in a matter of minutes. images, taking the guess work out of the process. perform through focus analysis with the push of a button. support@reticlelabs.com to schedule a demo. Available USB port for hardware license token. AIMS(TM) is a trademark of Carl Zeiss, SMS GmbH.